Static investment options remain in the stated allocations for the life of the account unless you request an option change, which can only occur twice per calendar year. Account contributions and earnings are insured by the Federal Deposit Insurance Corporation (FDIC) up to $250,000 at each bank. 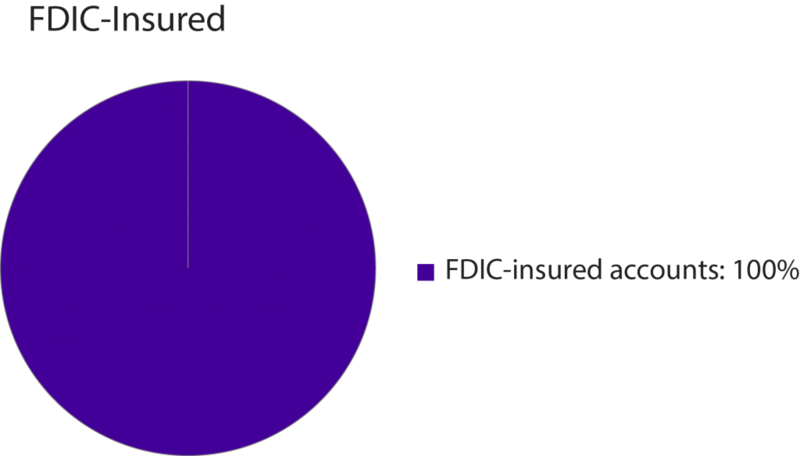 The amount of FDIC insurance available to you is based on the proportional value of your investment in the FDIC-insured accounts at each bank, plus the value of any other personal accounts you may hold at each bank. View the my529 Investment Option Performance Table. Read the Program Description, Part 7, Investment Information, for information about specific risks for the underlying investments in the FDIC-Insured investment option. View my529’s Asset Fee Structure Table and Approximate Cost of a $10,000 Investment Table.